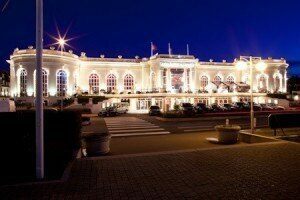 The French poker community was dealt another bad hand this month after PokerStars and the European Poker Tour (EPT) announced that the annual Deauville stop is no more. Although the company’s Senior Manager of Public Relations, Rebecca McAdam, stated that the contract to hold EPT events in Deauville had come to a “natural conclusion”; however, other’s have speculated that gaming conditions in France have made it impossible to hold a complete event in the country. Owing to French poker laws, EPT Deauville hasn’t been able to offer players the same level of service and entertainment that’s common across the season. Alongside its main events, the EPT often hosts smaller tournaments and cash games, but because of regulations and tax connected to poker, offering a full range of game has been difficult. In addition to this, Deauville has been seen as a relatively poor location for an event in France. Although located by the beach, the city is slightly lacking in entertainment for the type of players that frequent the EPT circuit. Moreover, the weather in January is far from idyllic which makes the stop one that few players rush to visit. 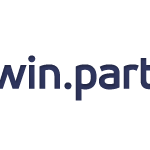 In fact, this season the Main Event attracted 592 players which, although not poor, is well below the attendance for other events in cities such as Barcelona (Season 11- 1,496 entrants) and Prague (Season 11 – 1,107 entrants). Another reason for the departure from Deauville is the shenanigans concerning men taking part in various female events. Because of French equality laws regarding gender discrimination, 22 players decided to ante-up and take part in the women’s tournament at EPT Deauville. The move was widely criticized by members of the poker community, not least by Victoria Coren-Mitchell who told Pokernews the men were “idiots”. “This is just a game. People have come here to have fun. Traditionally, women don’t play poker – and that’s partially because some of them find it intimidating. Ladies events are a nice way to create a fun event and at the same time to attract women that would not play otherwise,” said Coren-Mitchell. The loss of EPT Deauville is the fourth major tournament to be taken away from the French community in recent years. 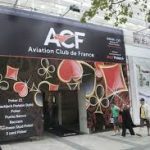 Following the government shutdown of the Aviation Club in Paris, the World Poker Tour (WPT) decided to pull the plug on its Grand Prix de Paris in 2014 and prior to that the WSOPE and Partouche Poker Tour also decided to cancel their French festivals. It’s not all bad news for those who enjoy live MTTs in France. PokerStars’ McAdam explained that the relationship with Barrière will continue and the French Poker Series (FPS) will continue as normal. However, despite McAdam stating that an announcement regarding future FPS stops is forthcoming, the French community is understandably reeling from the loss of another EPT event. In fact, this loss, coupled with the steady decline of the online poker scene in France, has caused many players and industry commentators question the viability of the French poker market going forward. a few big tournament wins by French player(s) might revive the poker economy in that nation .